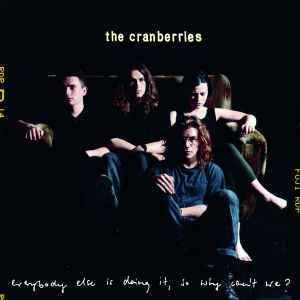 The Cranberries ‎– Everybody Else Is Doing It, So Why Can't We? Truly one of the best sounding records in my collection. Well done. Nobody notice side A a little off center while spins? Side B well. Anyone? Sounds amazing! Clean flat pressing. Dynamic with a nice soundstage. This one was done right! came to keep the praise of this repress going... WOW. what a great repress. everything that has already been said is all true but i really want to emphasize how quiet this is. it's quite amazing. Have both black and red versions. Much prefer the black version (this one). Sounds is more lush and full. Packaging for both is great. Great repress for both nonetheless. Just always prefer standard black vinyl. What can I say, it feels heaven when u get to hold a perfect vinyl copy like this one. great pressing including the packaging, printing, mastering, and vinyl. Hope analog spark can reissue all their albums. Excellent pressing! Incredible clarity and dynamics in the music and virtually no surface noise. Pressed on 180g black vinyl. The sleeve is a heavyweight glossy gatefold with excellent reproduction of the original artwork. The inner gatefold features lyrics on one side and band photos/credits on the other. The LP is housed in a paper sleeve with anti-static lining. This is a must have release. Don’t overpay though, it keeps coming back in stock on Amazon. couldn't be happier with this great release. sound great, looks great, is great. thanks cranberries and thanks a. spark. RIP dolores. One of the best sounding records i own. Analog Spark is doing it.